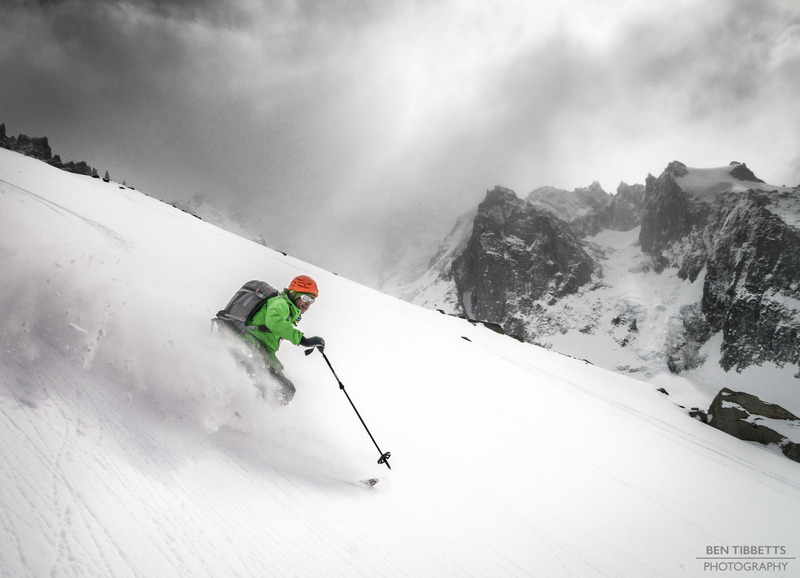 The last month has been all about the Ski Mountaineering racing (and training for it!). 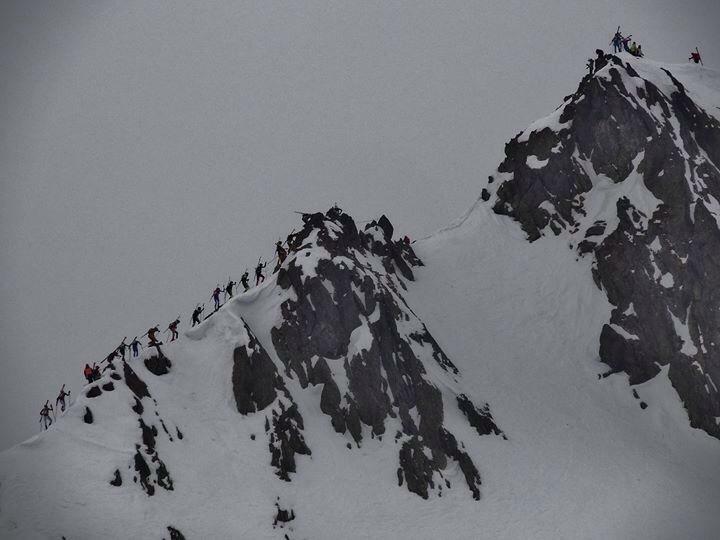 If you havn’t come across SkiMo racing before then this all might look a little fetishistic. Lots of men and women running around in the snow in one-piece lycra skin suits. To those of us who enjoy the thrill of racing up and downhill in the mountains in winter however, this is about as much fun as you can have with you clothes on. The major races like the Pierra Menta (Fr), Tour du Rutor (It) and Patrouille des Glaciers (Ch) are incredibly well organised, and manage to herd hundreds of oxygen-deprived over-exerted skiers through engaging steep and glaciated terrain in relative safety. They attract the best Ski Mountaineers in the world and it is humbling to be able to race amongst them. 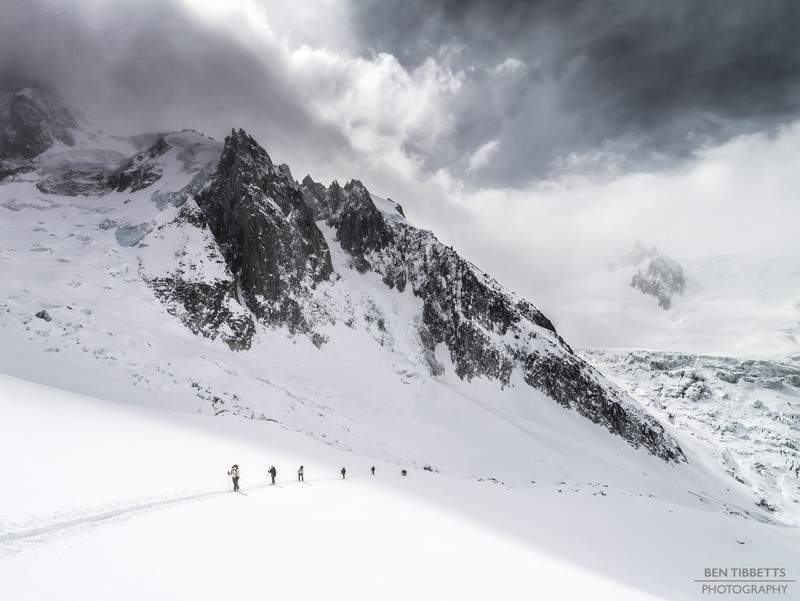 These races involve not only challenging descents and steep skin tracks, but mixed in are bootpacks with or without crampons, and sections of rocky alpine ridges. On the second day my partner, Stuart Johnston, took an ugly high speed crash on descent. For a while it looked like the race was over but he picked himself up and carried on with a stiff and wobbly knee. The next two days conditiosn were harsher, with some wind and significant snowfall. With Stu’s gammy knee it involved a bit of damage limitation and lots of painkillers, bit we made it to the finish line each day in good time, ending about half way down the field overall. A photo from SKI & RUN (https://www.facebook.com/pages/Ski-run/402179249794434) from the third day of the Pierra Menta 2014. Ascending the ridge to the Grand Mont. A photo from Ski & Run (https://www.facebook.com/pages/Ski-run/402179249794434) from the Tour du Rutor stage 1. An image after day 2 – Misha chilling in the sun. 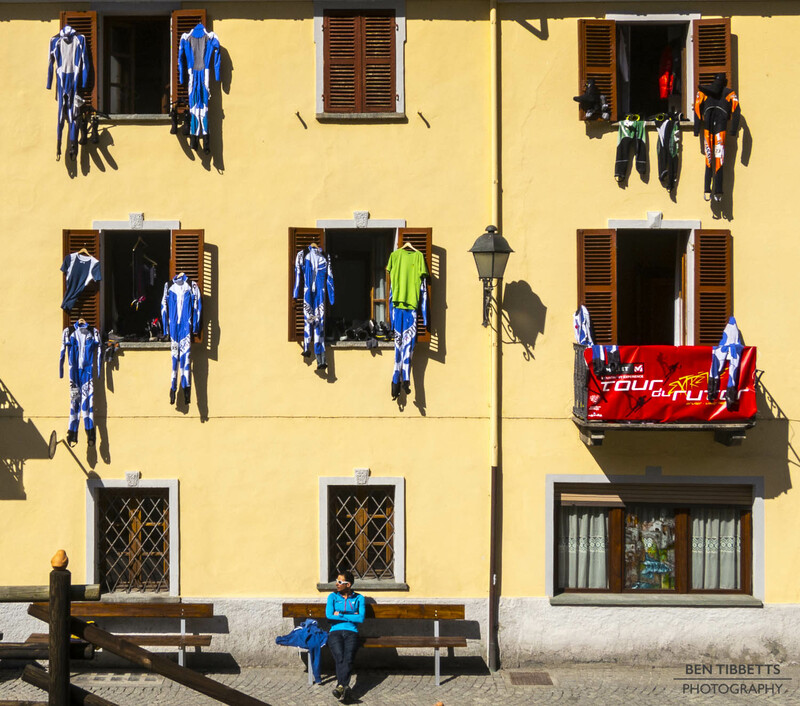 Skinsuits drying out on the hotel balconies…! After a few days off it was back to training in the mountains. I had a week before the British Mountain Guides ski touring training in which to have a few other adventures. Having been away from Chamonix for 3 months I preferred to stick to local hills for a bit of time at home! Below are just some photos from the best of these days… more to come soon! Ascending towards Brèche Puiseux, followed by a group of French Military. 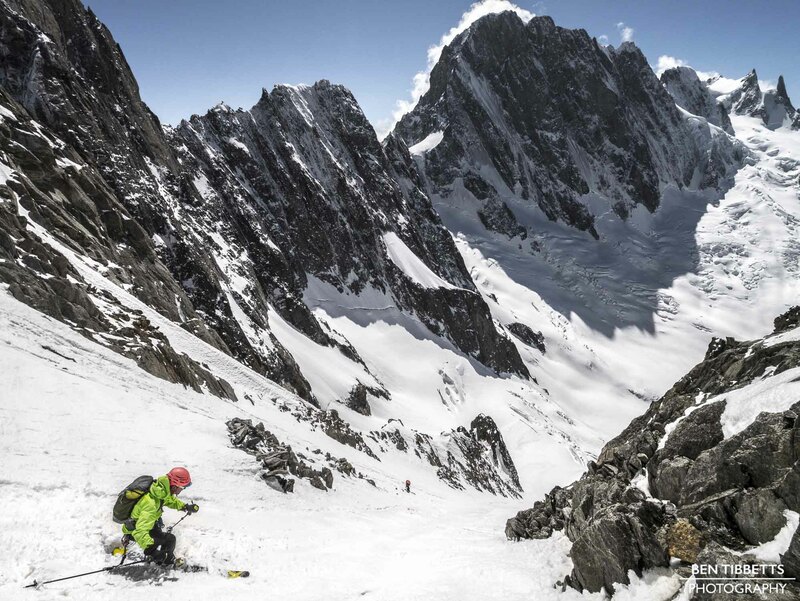 Misha Gopaul and Stuart Johnston ascending the SW couloir of the Aiguille de l’Éboulement. Toes of the Walker and Croz spur of the Grandes Jorasses in the top right corner. Misha Gopaul descending the SW couloir of the Aiguille de l’Éboulement. Trying to catch up with a backlog, more to come soon. 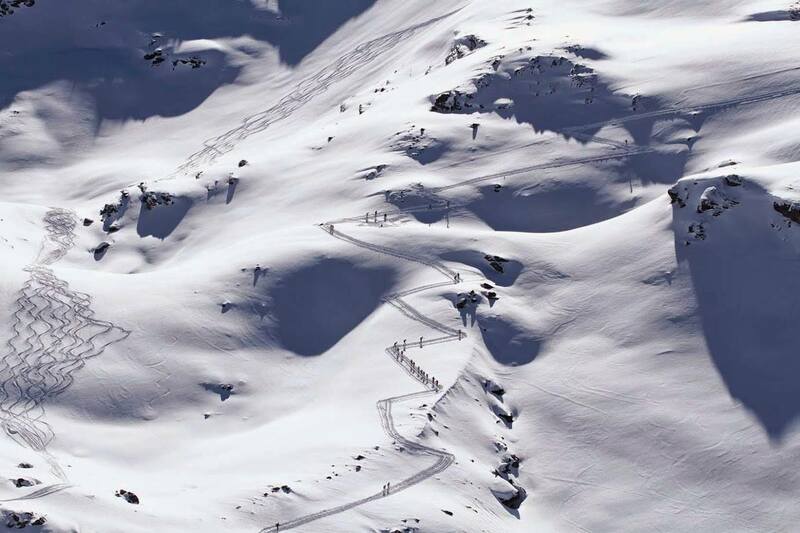 Only a few days until the Patrouille des Glaciers race now. Rab have kindly sponsored our entry. Our team consists of Jon Morgan, Ben Bardsley and myself… bring it on!